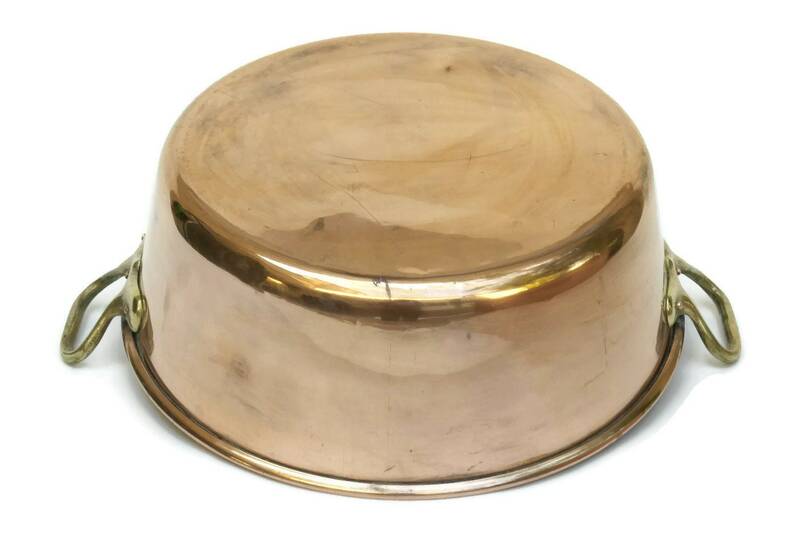 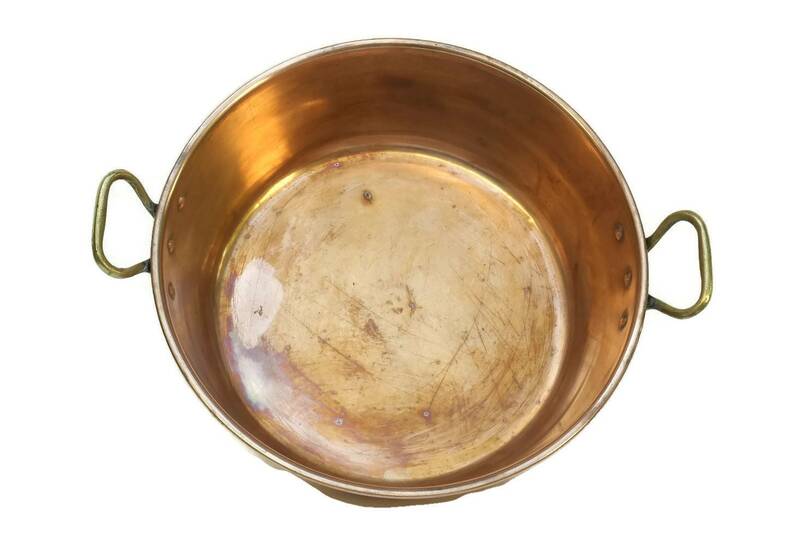 A large vintage French copper preserve pan for making jellies and jams. 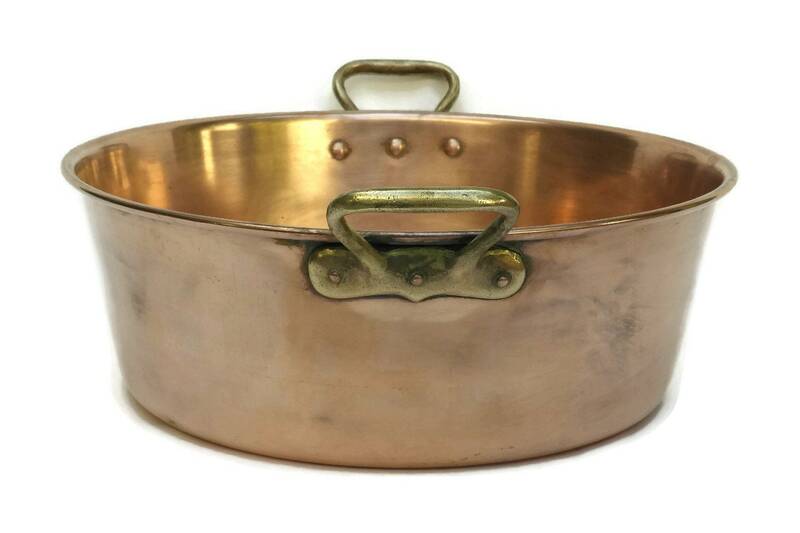 The kitchen pot is a large size and features the traditional wide diameter and deep sides. 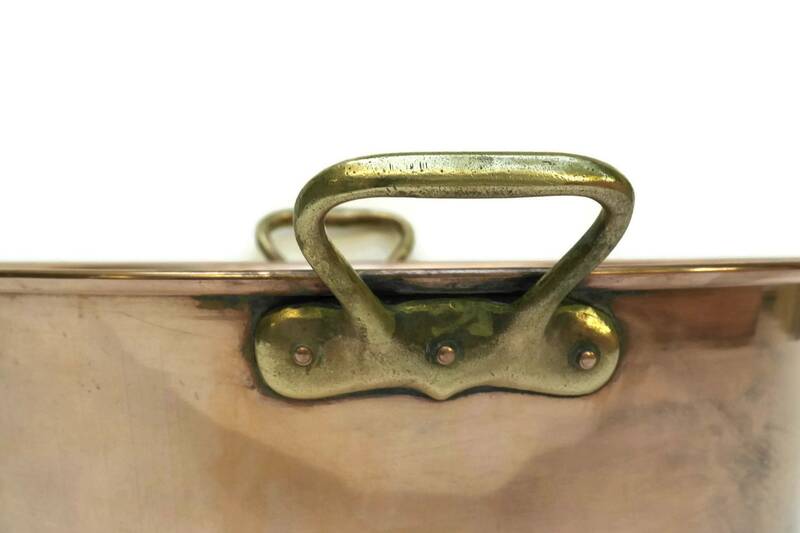 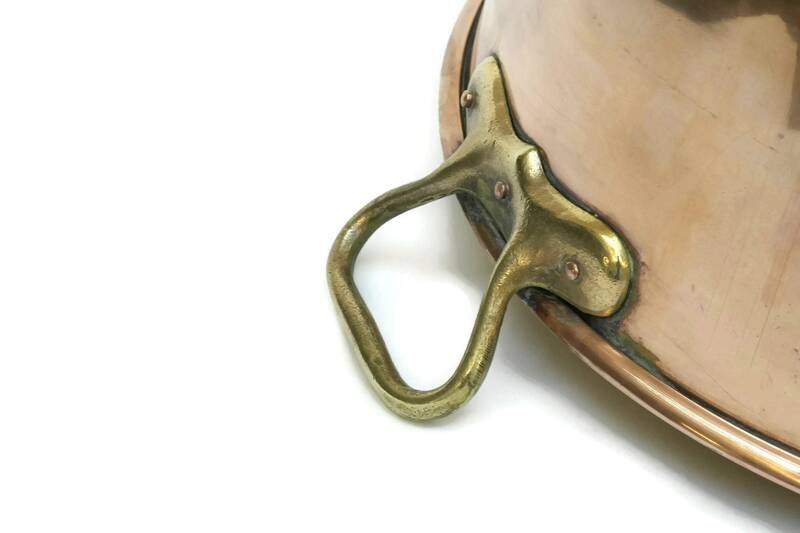 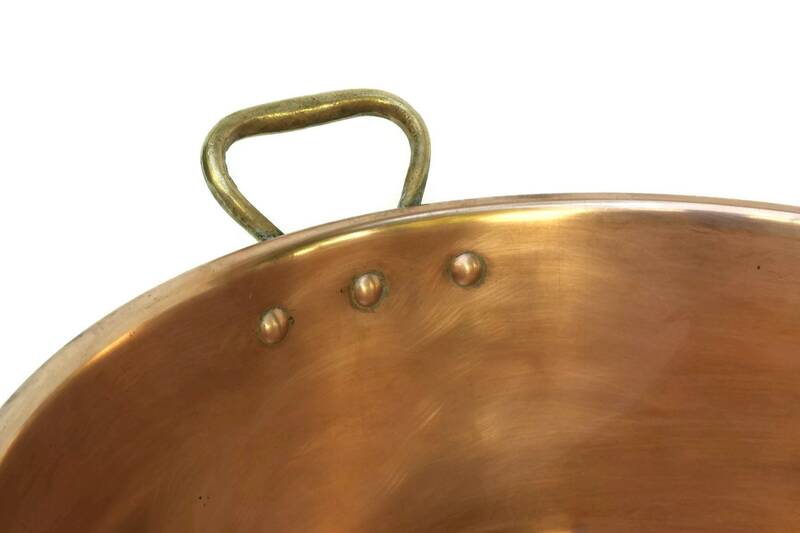 The copper cookware has two brass handles on either side. 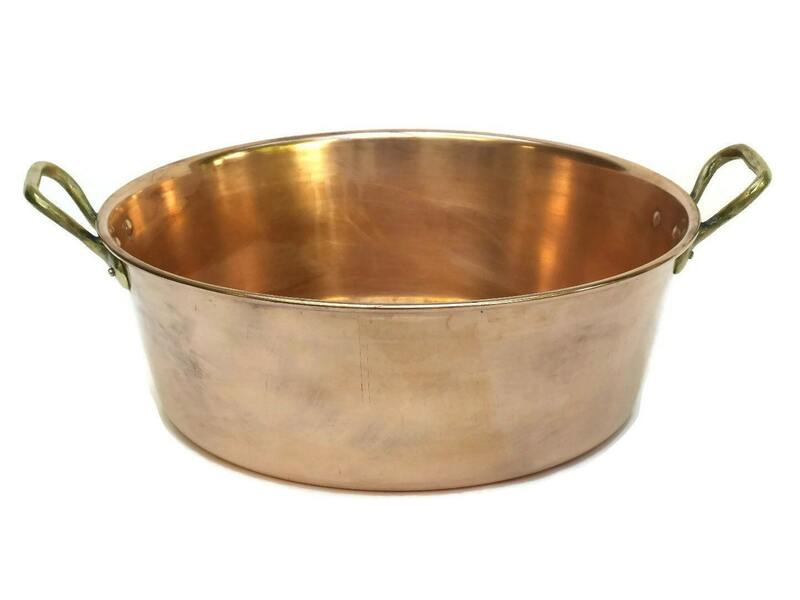 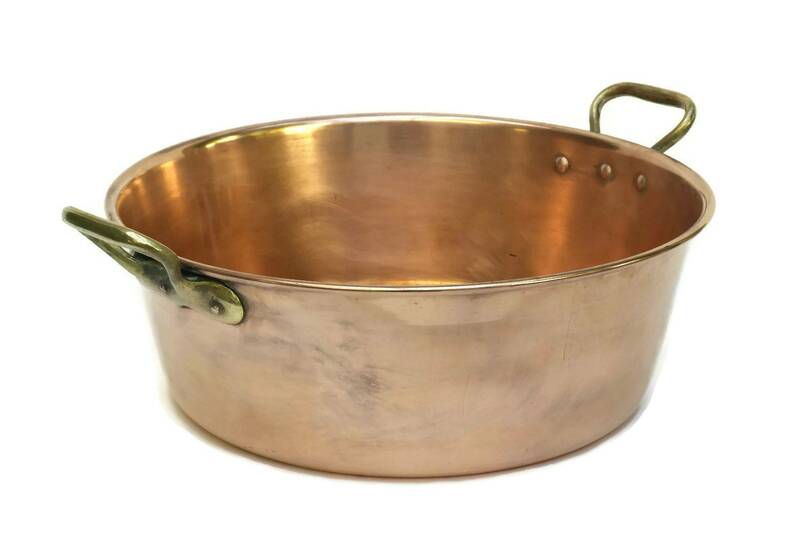 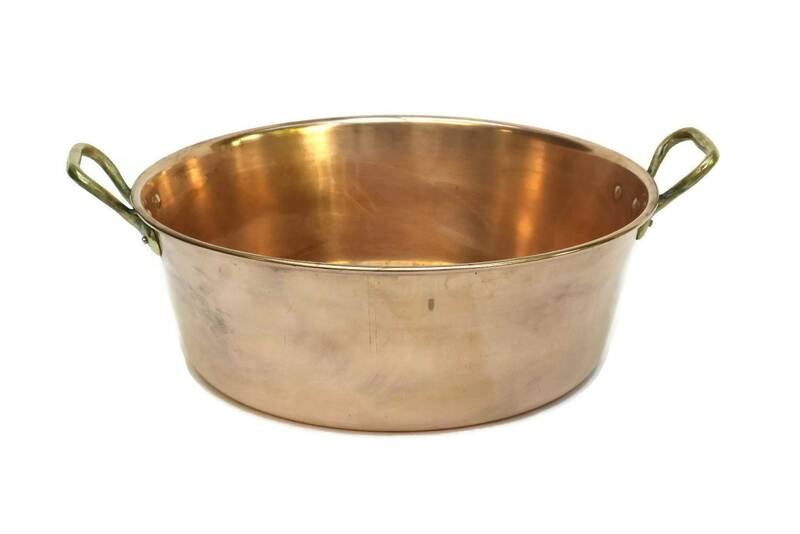 The French copper pan is in good vintage condition with some signs of age and use including patina and ligh surface marks and scratches. 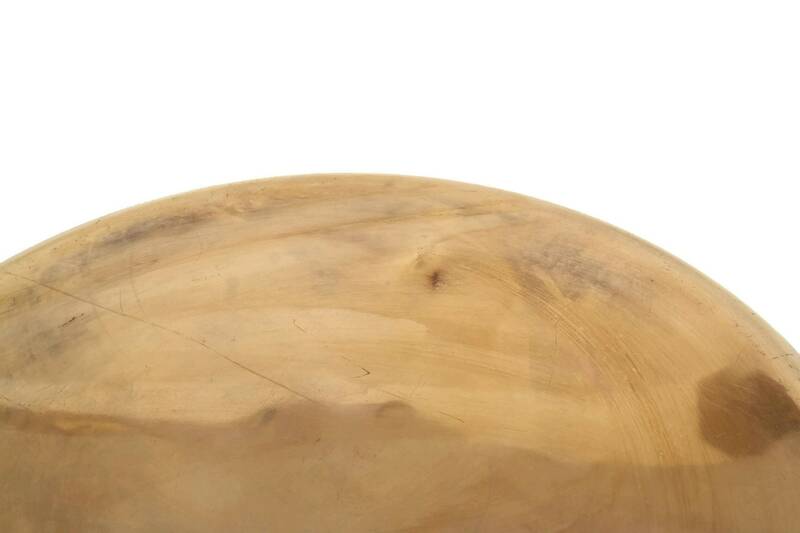 There is a light dent to the underside.